It's that time of year where daylight is fleeting quickly, the air is crisp, and snow is threatening to fall in the high country. It is Rut season. On Sept 12th & 13th, hundreds of runners from across the globe will descend on Big Sky Resort to push their physical limits on the scree laden slopes of Lone Peak. To give you insight into who will be running The Rut 50k and why they're excited to come to Montana, we've asked each elite runners five questions. Leading up to the race we will post responses daily from world class runners such as Kilian Jornet, Anna Frost, Adam Campbell, Paul Hamilton, Ellie Greenwood, Rickey Gates, Luke Nelson, Sage Canaday, Emelie Forsberg, and others including Montana's finest ultra runners. It is time for The Rut. 1. Being a Montanan gives you a bit of home field advantage. Have you done any special preparations to get ready for the Rut? A little. Big Sky is a bit of a drive from where I live (it's a big state), but my sister and I did go crawl around some of the high points of the course a couple weeks ago. Other than that, I've just been trying to get in a technical training run once a week or so. 2. Do you have any must-do/must-see recommendations or advice for for athletes traveling to Montana for the first time? If you enjoy a cold one, I would recommend sampling a few of the local micro brews. As a former Colorado resident, I declare myself qualified in claiming Montana rivals any state in the craft beer category. 3.What are some of the highlights of your 2014 racing season? Not too many highlights. 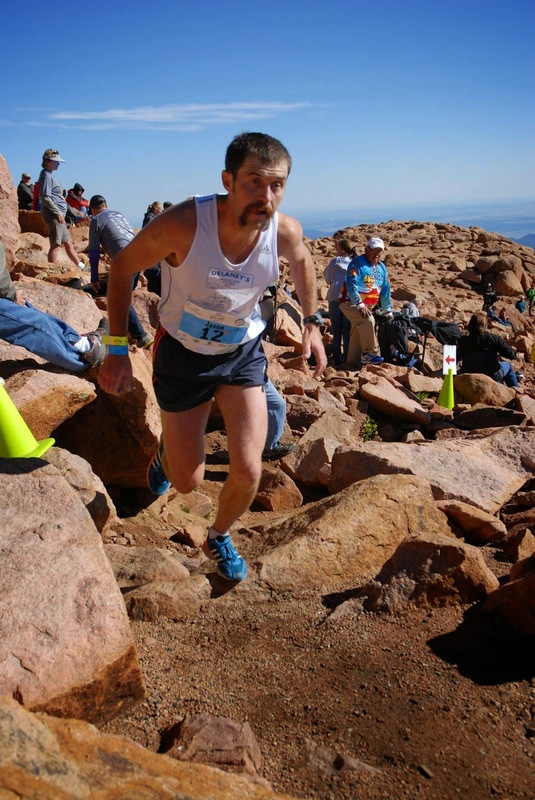 I had a late start to my racing season, but running the fastest Pikes Peak Double since 2007 has to be the high point (7th in the Ascent and 2nd in the Marathon on back to back days). 4.What is it about the Rut that made you sign up for this event? I don't take the time to race abroad very often, so when I realized a Sky Runner race was going to be in my home state, it was a no brainer. 5. On a scale from 1-10 how much would you say you enjoy running off trail on slabs of talus the size of dinner plates that constantly slip and slide out from under your feet, or better yet, flip up and hit you really hard in the ankle bones and shin?